PICK #6 was the Batman: The Killing Joke. Click here. 5. 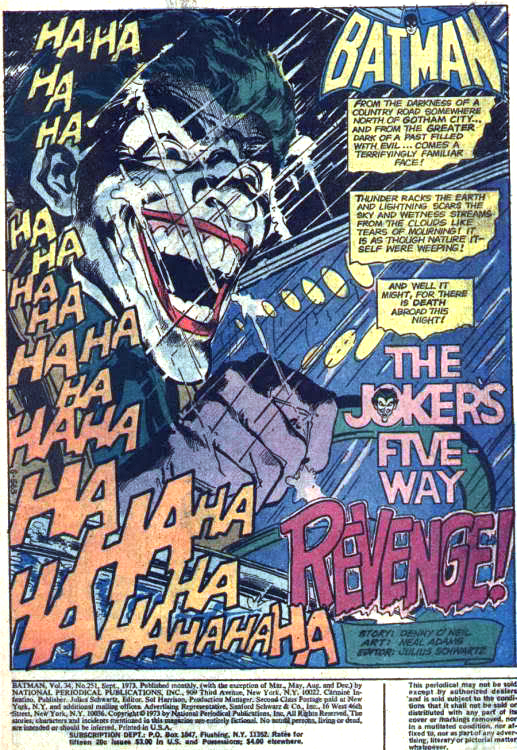 BATMAN #251: THE JOKER’S FIVE-WAY REVENGE! Written by Denny O’Neil. Illustrated by Neal Adams. 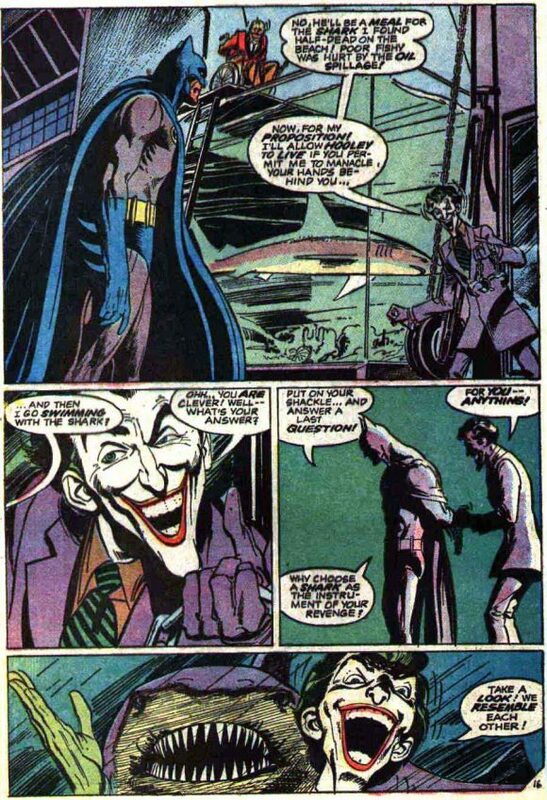 When Batman #251 came out in 1973, Denny O’Neil and Neal Adams — as well as their creative colleagues behind the newly invigorated Darknight Detective — had largely shied away from archvillains (with some very notable exceptions). Instead, they preferred to pit Batman against a mix of supernatural forces, freaks, mobsters, assassins and run-of-the-mill killers. 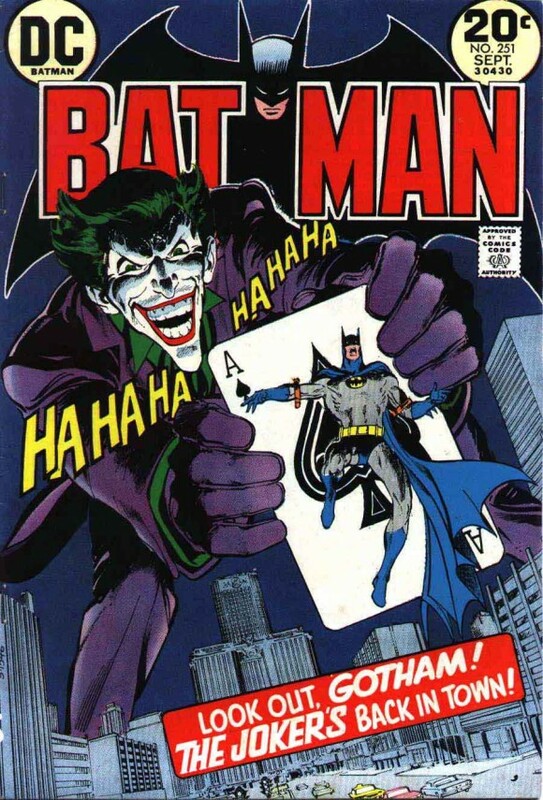 The Joker, meanwhile, had been sitting on the shelf for four years: He was last seen tormenting Batman and Robin in 1969’s Detective Comics #388, where he tried to convince the Dynamic Duo that they’d been rocketed to the moon. While a kick, the story was one of the last gasps of Batman’s campier era. The result? A 22 1/2-page masterpiece — a doctorate course in taut storytelling and moody, evocative art. 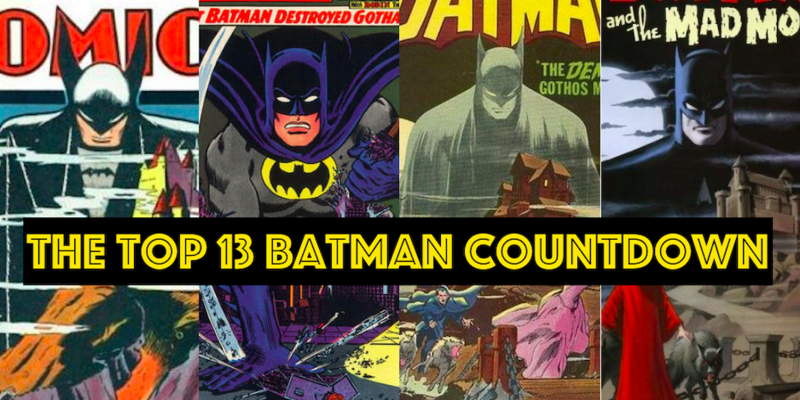 By the way, here’s a spoiler for you: Batman #251 is the highest-ranked single-issue story in the TOP 13 BATMAN COUNTDOWN. Another way of putting it is that The Joker’s Five-Way Revenge! is the greatest single-issue story in Batman history. Which, to my way of thinking, makes it the greatest single-issue story in comics history. 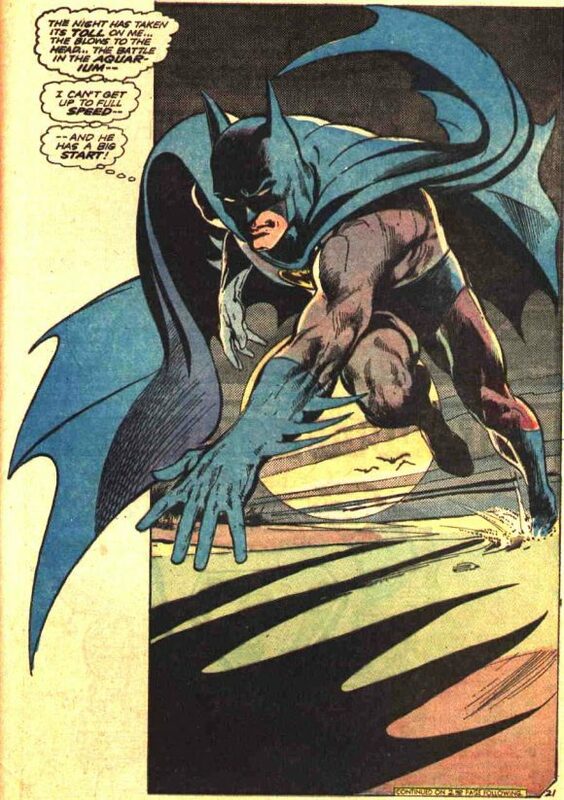 — How NEAL ADAMS Created the Cover for BATMAN #251. Click here.